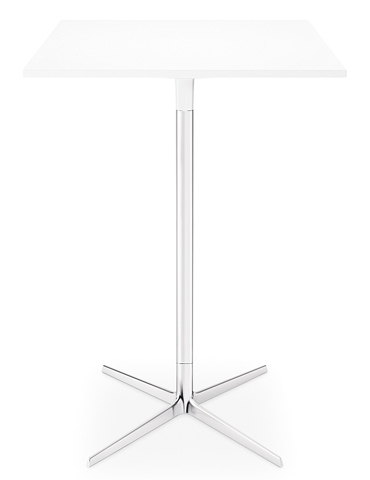 Table with 4 way base in polished or painted aluminum. 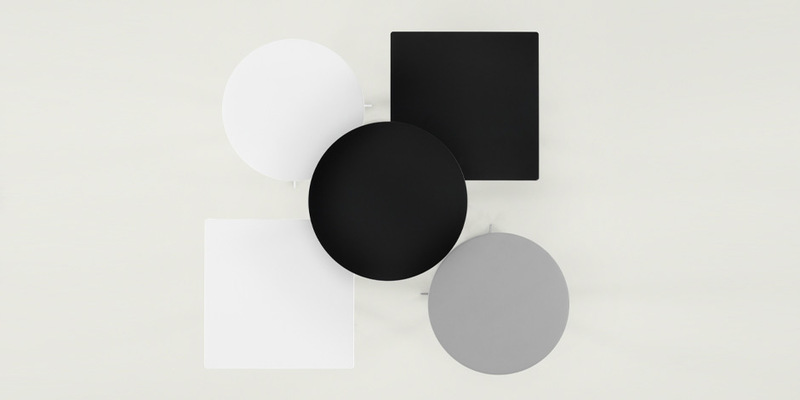 The top is available in one color polypropylene white, black or grey, in a round or square shape. The base is fitted with adjustable glides. Height 105 cm – 41 3/8″. Painted version can be used outdoor. Available in three heights (50, 74 and 105 cm) with both round and square polypropilene tops in a range of sizes. 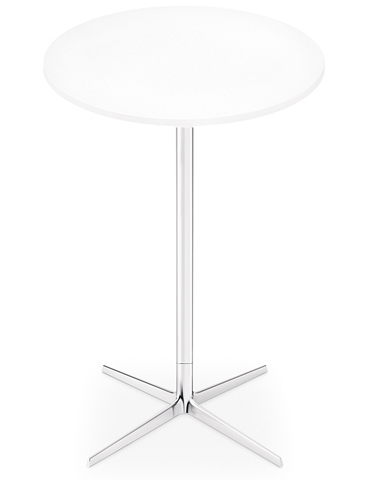 Four-way base in shiny or white-painted aluminum. Both tops and bases are available in three colors: black, gray and white. All items obtained the Environmental Product Declaration (EPD) certification.